This is a new records that is close to the elements, made directly from nature. The style is held in a psychedelic and 70's rock spirit, but what Mat McNerney is doing takes basis in Finnish nature and raw forest fighting environment. Added trumpet and native Finnish singing there are also elements of folk music here, even inspired by Irish folklore. 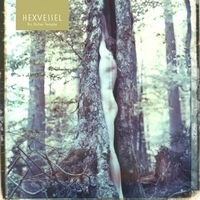 Basically the songs are slow, so slow that the vocals are spoken instead sung, but you get an atmosphere of nature rock from Finland on this second album from Hexvessel, a follow up record to their 2011 album Dawnbearer. Nice relaxing music where your ears are not in pain.